Folding wire or mesh pallet cages are collapsible, stackable, packable and rackable. 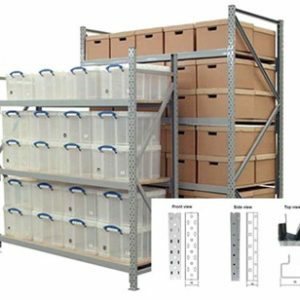 Ware Hows features the folding wire rack cages for the numerous features and benefits they provide. Big on features, the folding wire cages are designed for maximum versatility. 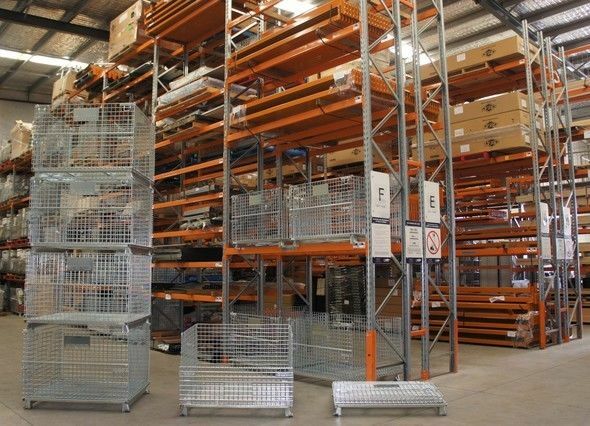 Mesh Pallet Cages are typically the same size as Australian standard pallets and are used to house ugly shaped stock and large spare parts in pallet racking. 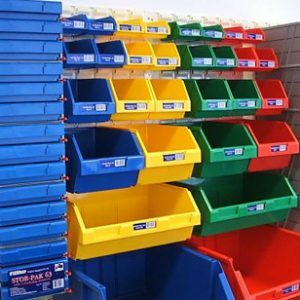 Designed to half open for easier picking and fully collapse for easy storage, mesh cages for pallet racking are an ideal way to cater for various odd shaped products. Ware Hows also buys and sells other brands of cages or stillages, depending on age and condition. Drop in to our showroom and check out our range or call us on 07 3907 8555 for a free quotation. 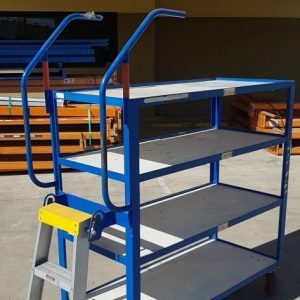 Pick up can be organised from our Loganholme (Brisbane, QLD) warehouse or delivery Australia-wide can be arranged at buyer cost. 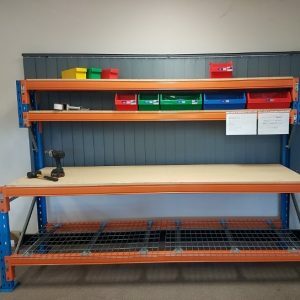 Ware Hows – leading supplier of Mesh Pallet Cages to businesses throughout Brisbane and Australia wide.